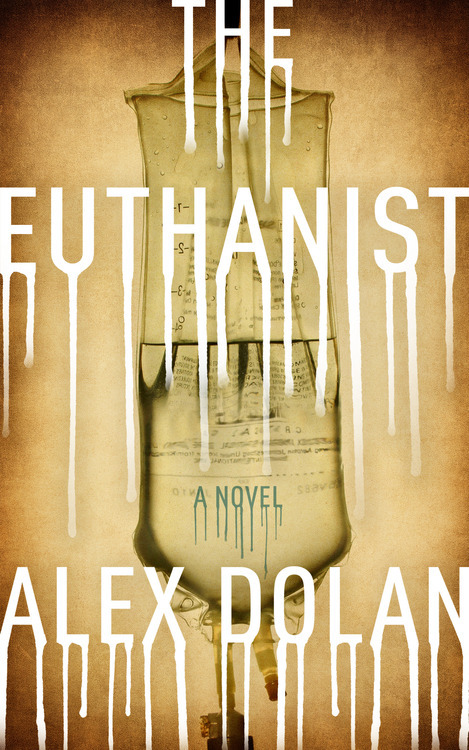 In one of the most promising debuts since Gillian Flynn’s Sharp Objects and Alice Blanchard’s Darkness Peering, The Euthanist strikes like a suckerpunch and never lets up. Seriously, this book is freakin’ relentless. On most days, Pamela Wonnacott is a kind-hearted firefighter and EMT with a troubled past, but as Kali, she provides a different kind of public service as an end-of-life caregiver. She is attending to Leland, a terminal patient who has requested assisted euthanasia, but in the first of many twists, Leland turns out to be an undercover agent. The opening chapter of The Euthanist left me breathless, only to be one-upped by chapter two. The pacing is spry and the narration is delightfully disorienting in the manner unique to first-person POV. There is nobody Kali can trust, and even her allies turn on her when she unwittingly brings the FBI to their door. Dolan manages all of this well, avoiding the usual traps of first-person narration (he keeps Kali disoriented, but not clueless) and managing his twists and reveals organically. Most impressively, he doesn’t manufacture a ridiculous romantic angle or give us a cavity with overwrought sentimentality. On the whole, this is masterful storytelling that lets the characters, and not convention, dictate their actions. There is only one scene that feels over the top, in which Kali’s costume serves a theatrical purpose rather than a practical one. Beyond that, the characters and their motivations are authentic, and the tension in this novel is intoxicating. As Kali says, “Fear isn’t pain, but it is the expectation of it.” Except with Kali, Chekhov’s gun is replaced with a syringe. The Euthanist is particularly relevant as right-to-die issues have gone from hushed whispers to appropriate dinner conversation. Dolan doesn’t beat us over the head with social commentary, but allows the conversation to play out between Kali and Leland. This is an exciting debut, and I look forward to more of Alex Dolan’s writing.